Here it is folks, the movie Ganesha has been waiting for aaalllllll yeaarrr… As an uncloseted fan of all things Harry Potter, any year with a Harry Potter film in release is like Christmas in July ( - or November, or June…). Part of the anticipation of that great event is finding out whether Santa has blessed Our stocking with a shiny red fire engine of a lump of coal. 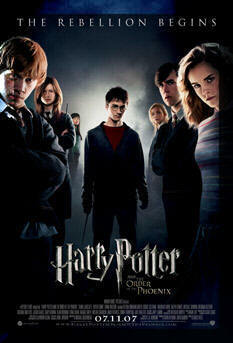 Order of the Phoenix is film number five in what looks likely to be the seven-part series. Much has occurred in the life of the Boy Who Lived since the day an amiable giant turned up one summer to let Harry in on the secret that he was a wizard. 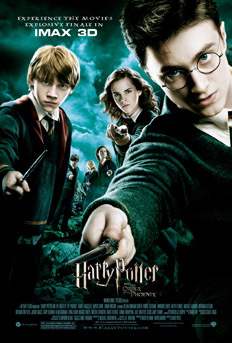 Joined by his loyal pals from the Hogwarts School of Witchcraft and Wizardry, Ron Weasley and Hermione Granger, he has faced things with two heads, an ancient and large-fanged Greek myth, soul-sucking grim reapers with an allergy to happiness, and most recently, a duel to the death with his archenemy and scourge of the wizarding world, Lord Voldemort. The last of these being particularly traumatic as it resulted in the death of fellow Hogwarts student, Cedric Diggory, right before Harry’s eyes. The film opens in the weeks after that experience and Harry is going through serious changes - because being a hormonal teenage boy wasn’t traumatic enough. 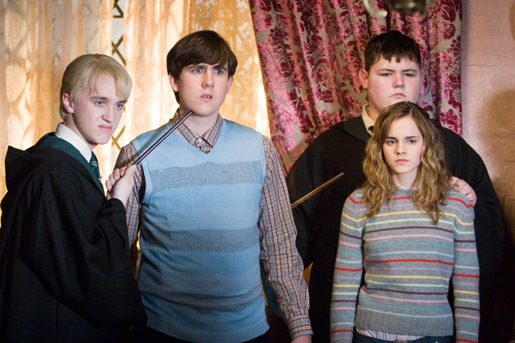 Harry is cut off from contact with his friends and protectors and kept isolated in the house of his only relatives, the Harry-hating Dursleys, where Voldemort and his forces seemed unable to accost him. 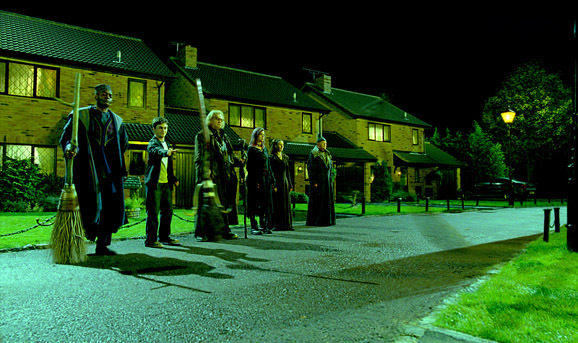 This presumption is blown to bits by the appearance of the afore-mentioned soul-suckers, called Dementors, who attack Harry in broad daylight. 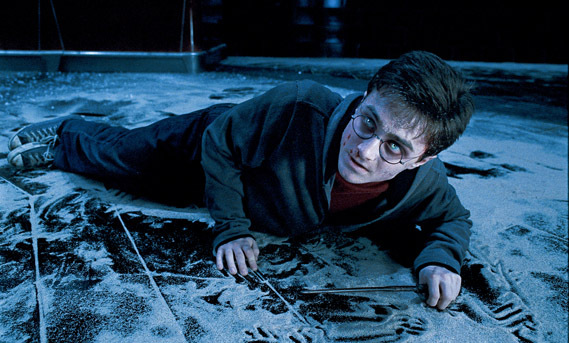 Though Harry barely escapes, it’s clear that the gloves are off and someone will stop at nothing to get to him. 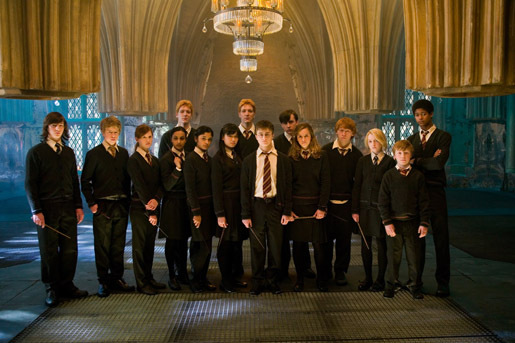 Harry’s protectors show up to spirit him away to safety and here we meet the Order of the Phoenix; the resurrected organisation of wizards put together by Professor Dumbledore, the strongest wizard on the side of good. 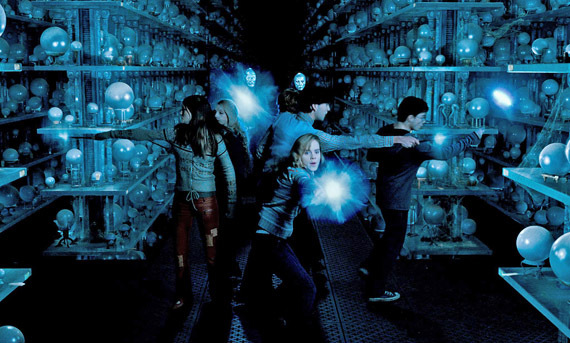 The Order fought valiantly against Voldemort’s evil Death Eaters clan the first time around, and their new headquarters is the home of Harry’s recently revealed godfather and still wrongly-accused fugitive at large, Sirius Black, to whom Harry is devoted. And because Harry hasn’t got enough agita on his plate, he’s now being played for political purposes by the Ministry of Magic, for whom denial is the order of the day in their adamant refusal to admit that Voldemort has returned from what everyone hoped was the dead. 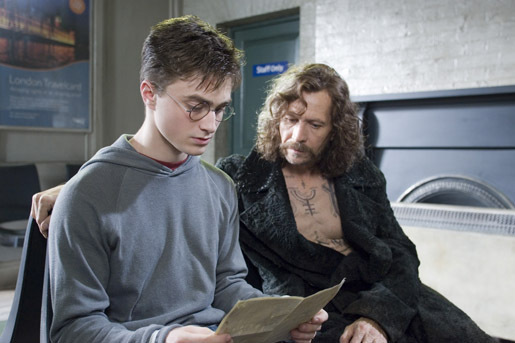 Harry is put through a Ministry-ordered Kangaroo court defending his use of the magic that saved his life against the Dementors, and later sees upon his arrival at Hogwarts that he’s now looked upon as a complete nutter. 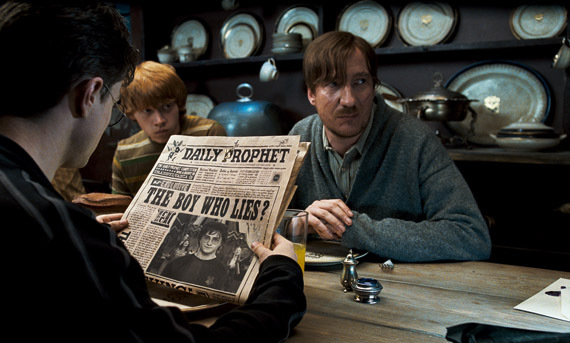 What no one bothered to let Harry in on during his suburban exile was the fact that the wizard press has painted both himself and Dumbledore out to be liars, making up the story of Cedric Diggory’s murder by Lord Voldemort for their own purposes. Sweet. In fact, no one seems to tell Harry much of anything at all, allegedly for his own protection, and this burns Harry’s butter no end. 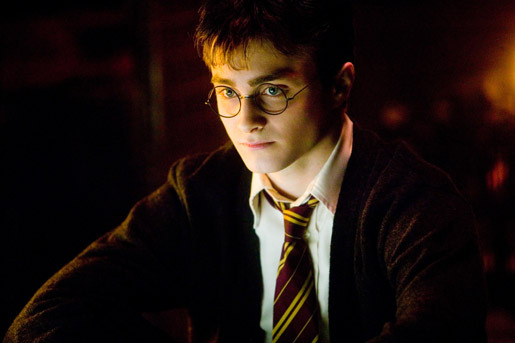 And herein lies the big difference in this film, this is Harry as the Angry Young Man. Harry’s had it up to here with all the whispers and exclusion and he’s ready to blow. 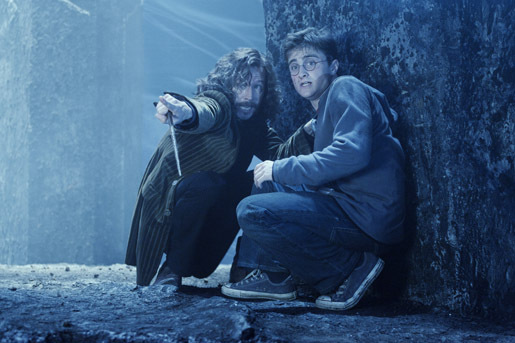 For all everyone’s best intentions, they seem to ignore that Harry, in his short existence, has had to deal with experiences that would obliterate the sanity of much older and wiser men (- and wizards). What was clearly meant to protect the boy has turned to be a terrible misjudgment of his character and the reality of the situation. Harry’s going to need all the help and information he can get in the near future; he’s got one of the most powerful wizards and all his pals after him with phasers set to kill, people, train him to defend himself. If all that sounds pretty grim, well kids, that ain’t the half. It’s a marked change in mood from previous outings and seems to signify an almost anarchic disregard for the Harry Potter film empire’s carefully protected demographic of small children. There’s barely anything here for the kiddies, no Quidditch, no House Elves, no dragons. During many stretches at my screening you could hear the little ones chattering away with confusion during some of the darker and slower scenes. 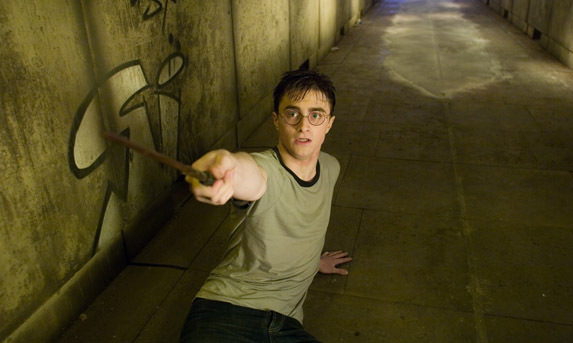 Harry’s big first kiss scene drew many an “Ewww!” from the plastic wand wavers. That leaving behind of the small fries is not what I hold against the film, it’s the fact that HPatOotP is one joyless affair. 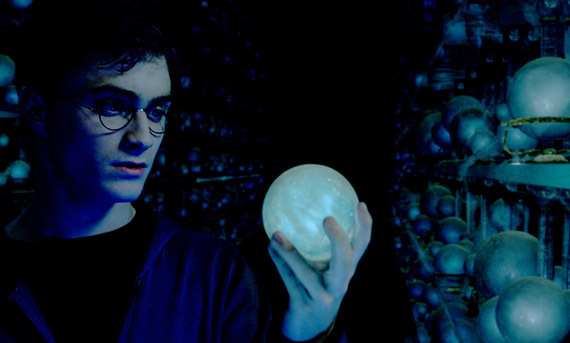 I understand perfectly that this is a dark and bleak time of huge transition in Harry’s life, but the unrelenting misery thrumbed over Harry’s head - and ours – in this film would send anyone to the bug house, much less a confused, perpetually in the dark, 15-year old boy. 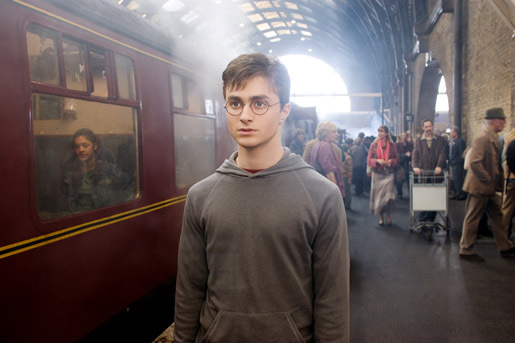 The pacing of the film is fairly breakneck; director David Yates stops for nothing in his quest to get to what he considers the important points of the story - not character development, not a sense of humour, not innovation or art direction – none of these piddling concerns are getting in the way of this train. If you need to know more about the personalities of the main characters, you better have seen the previous films, because you’re not going to learn anything new. Various plot points and aspects of those involved are touched on, almost as markers of things Yates had to include, but never really fulfilled. In the words of my fabulous pal, BlueSimplicity, it’s “too much and not enough”. Whether intentional or not, the entire look of Order is dark and ramshackle: I wondered why the glorious red Hogwarts Express was now deposited in the middle of a dusty, dirty inlet of the forest instead of a proper station. Even Hogwarts itself seems to suffer from Harry’s depression, looking dank, run-down and not at all like the majestic castle that we’ve seen previously. 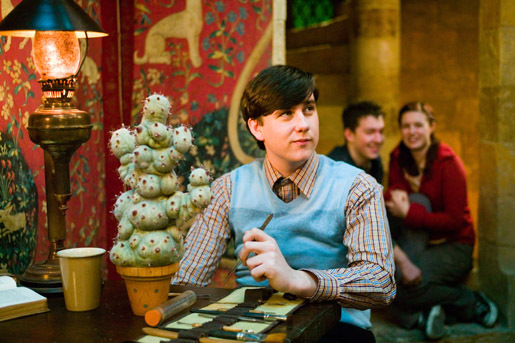 For the first time in the Harry Potter film, the set design looks like a low-budget afterthought and takes its toll by further delving the film into murk. To its credit, there are some great set pieces here; the fight in the Department of Mysteries is one of the coolest action sequences I’ve seen for ages. The introduction of the skeletal horse-like wraiths, the Thestrals, is wonderful and shows genuine originality. 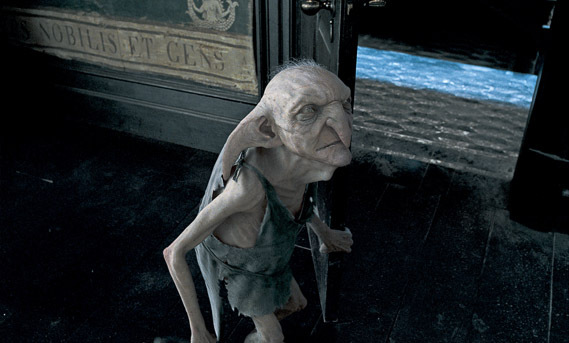 The appearance of the Black family’s House-Elf, Kreacher, was nicely-realised and perfectly creepy. However, these are the only inspired moments in the entire film. Directly after the Dept. of Mysteries is another momentous battle and it just doesn’t capture the spark of the previous scene. 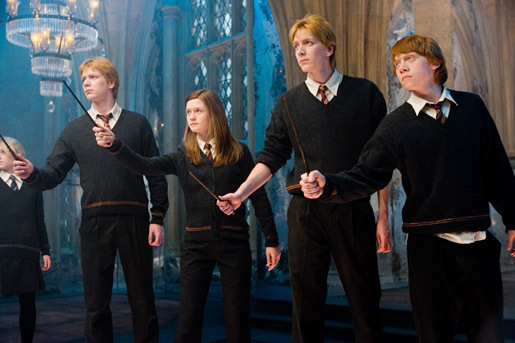 The scene of the Weasley twins’ revolution should be a joyous celebration of teenage rebellion; instead it’s curiously workmanlike and hollow – and those are the words I’d use for the feel of the film overall. 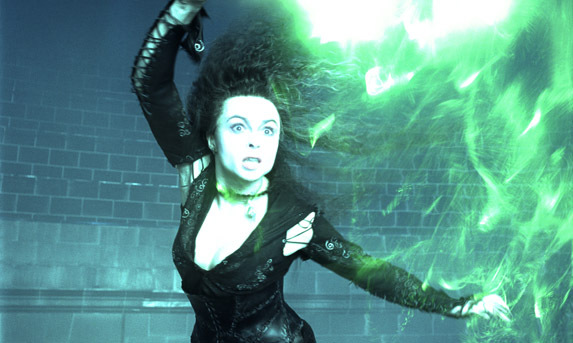 Here is a film about witches and wizards that suffers from a remarkable lack of magic. This is no fault of the actors, most of whom turn in wonderful performances. 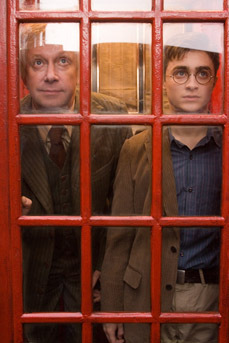 Daniel Radcliffe has come a long way since being put through rote paces with Chris Columbus. He makes Harry’s teenage angst relatable, sympathetic and heartfelt. When he finally blows up at his mentor and protector, Albus Dumbledore, you really feel that this character has come to his wit’s end. 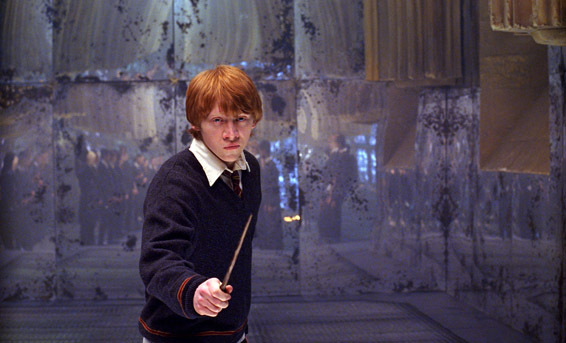 Sadly, his cohorts Rupert Grint and Emma Watson are given no stretches at all as Ron and Hermione, though there’s a nice maturity edging in on both characters. 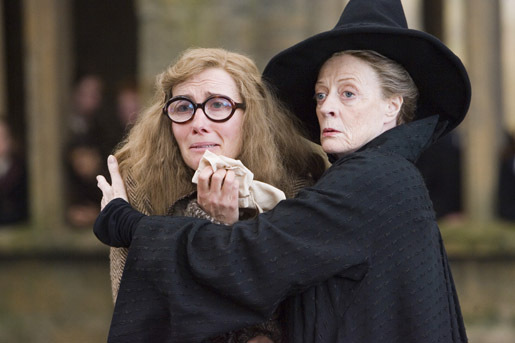 The other notable actors, Maggie Smith as outraged Professor McGonagall, Emma Thompson as ousted Professor Trelawney, and Robbie Coltrane in one scene as loyal giant Hagrid, have absolutely nothing to do. Alan Rickman as emo king and Harry-hater first rank, Professor Severus Snape, does wonders with his few moments teaching Harry to defend himself against either his own or Voldemort’s attempts to “penetrate his mind”. Quite honestly Warner’s could put together a full two hours of Snape outtakes and I’d be there for the midnight previews. Nearly as fabulous is Jason Isaacs (- who I may have mentioned somewhat favourably in another review … here! 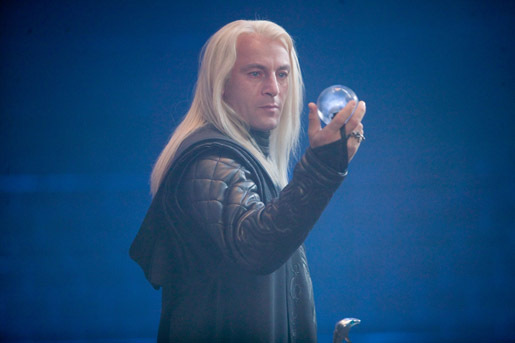 ), as out-of-the-closet bad guy, Lucius Malfoy, one of Lord Voldemort’s original Death Eaters. 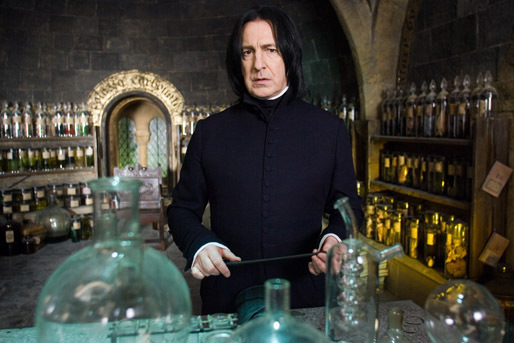 Like Rickman, he has much more to do in Order than in pervious films, and that’s just dandy. That man can work a long, white anime wig like no one else. He eats up his role with a knife and fork and a cherry on top. 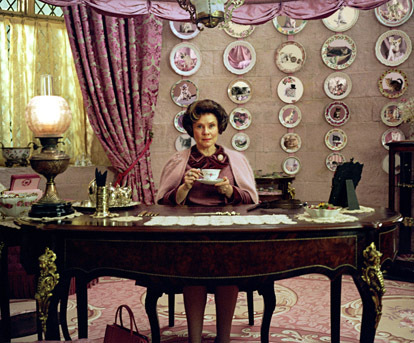 But the most notable mentions have to go to Imelda Staunton as Professor Umbridge, her control over the character, pulling off the pure malice in the woman’s soul covered in all that pink and saccharine is a minor miracle. She conveys the fanaticism of a zealot in her belief in the infallibility of the Ministry, as her eyes go cold and blank like a shark when faced with a student who won’t toe the line. Her compulsive giggles are poison and register like a psychotic tick. 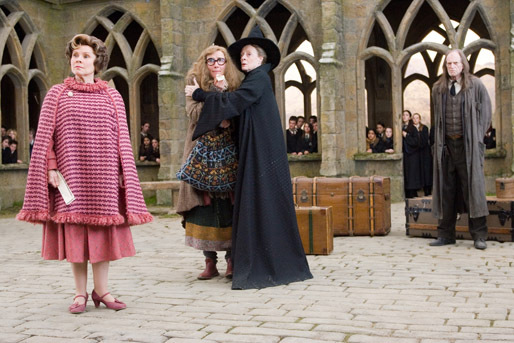 Staunton’s Umbridge is the stuff of nightmares. 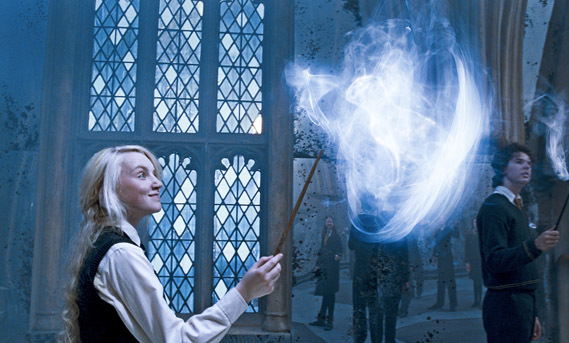 The other standout in the production is the discovery of Evanna Lynch playing the wispy Luna Lovegood. 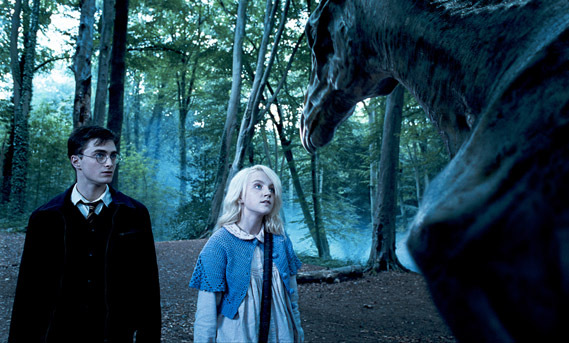 Luna is, like Harry, thought to be quite mad with radishes for earrings and a tendency to read periodicals upside down. 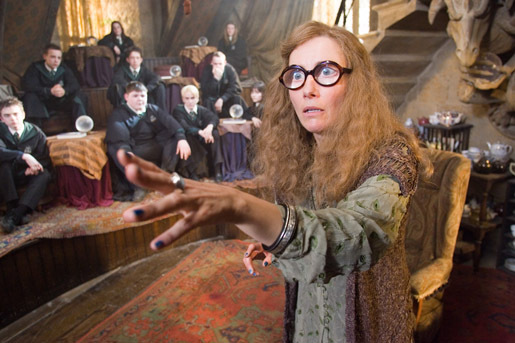 The populace at Hogwarts has branded her “Looney” Lovegood for the odd things she says and does, and she’s fine with that. 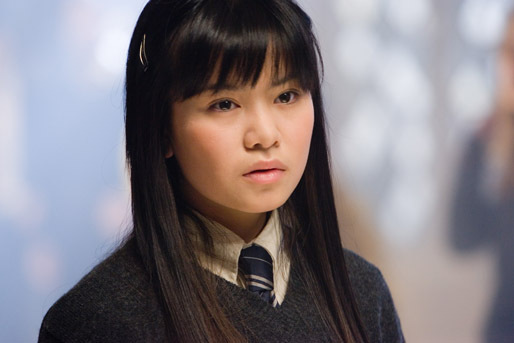 In her isolation she relates extremely well to Harry, and in my opinion, Harry and Luna had more chemistry here than did Harry and his intended, Cho Chang. Luna is a very strong, loyal and wise character who just sees things a bit differently, and Miss Lynch captures her otherworldliness perfectly without playing it for camp. It’s a terrific performance, and it’s hard to believe this is her screen debut. Rant time. 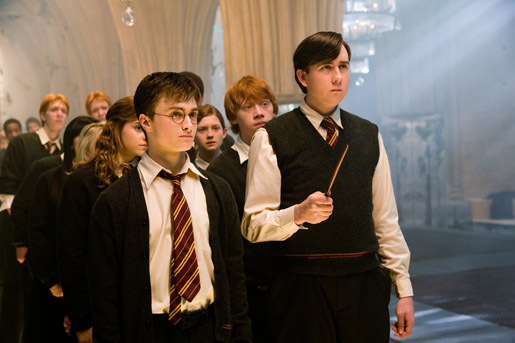 There are two actors I wanted to point out here: Michael Gambon as Professor Dumbledore, and Ralph Fiennes as Voldemort. I have seen and enjoyed the accomplished Michael Gambon in plenty of films. Unfortunately, I think that Dumbledore is his windmill. I think that his moments in Order are his best yet (- outside of the small “Did what?” scene in HP & the Prisoner of Azkaban). 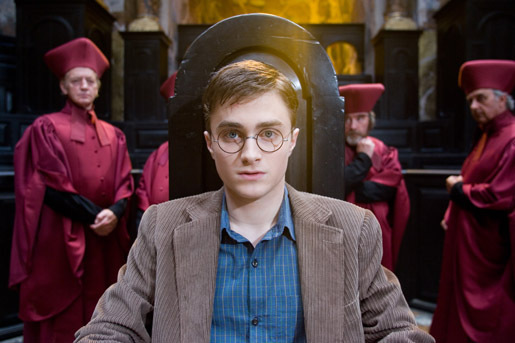 He puts in a restrained performance this time around, which is great because I passionately despised his yelling and roughing Harry up in the previous film, HP & the Goblet of Fire. I know that every person wants to put their unique stamp on a character, especially when one has to replace an icon like Richard Harris (- who played Dumbledore until his death before Prisoner of Azkaban) in the same role, but I feel that somehow Dumbledore has eluded him. 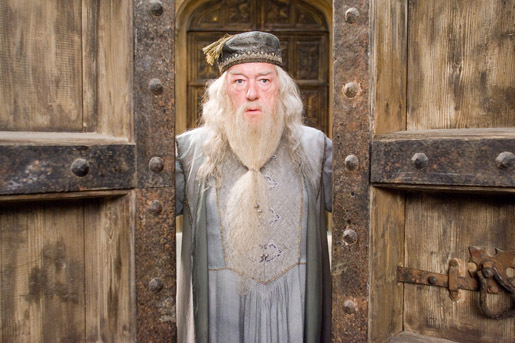 Gambon has not found a way to make Dumbledore his own, and as a result the character we see is a shell, not fully realised or fleshed out. 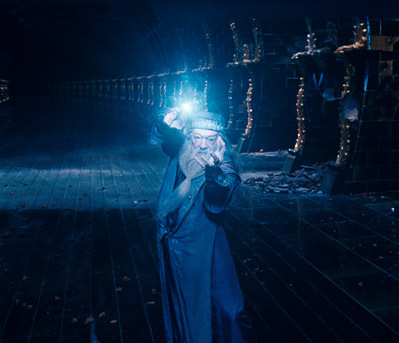 Dumbledore is, along with Lord Voldemort, the greatest wizard in the land, a wise leader and a strong warrior who commands great loyalty and respect from all walks of magical life, yet there is none of this command in Gambon’s performance, and many times it feels like he’s treading water - filling the suit until the next scene, and that’s a damned shame. 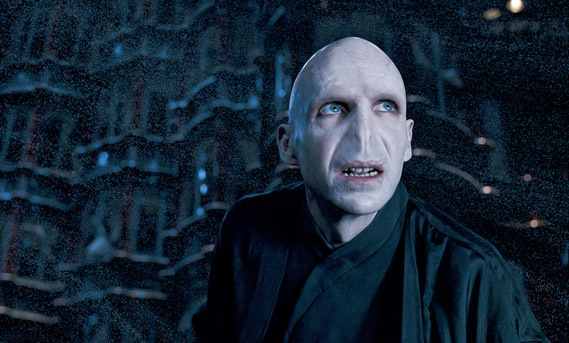 On the other hand, we have Ralph Fiennes as Lord Voldemort. Never has the world seen the likes of Voldemort, whose evil and brilliance terrorised not just the world of wizards, but the existence of Muggles (- non-magic folk), as well. 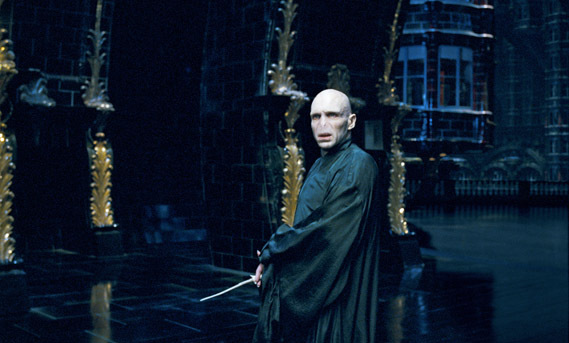 Funny thing is, on film, Voldemort’s just not scary. I will say that he comes closer in Order than he did in Goblet, but still there’s such an edge of camp in Ralph Fiennes’ exuberant performance that I keep expecting Voldy to bust out some Isadora Duncan-style dance moves to watch him twirling about, flailing his arms and making all sorts of funny faces. This is the boogeyman whose very name is never mentioned in wizarding households for fear of conjuring him or his followers. Nahhh… I ain’t feeling ya, Ralphie … maybe by film seven? Neither actor bears any of the imposing presence I would expect from such esteemed leaders, and without that presence, both characters are lost. 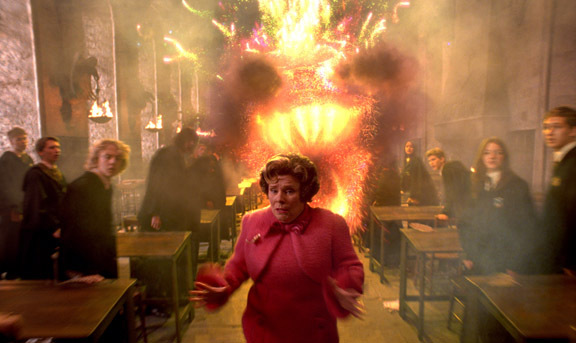 Kids, if you have a choice of seeing Order of the Phoenix in its regular 35 millimeter run or in the Imax 3D format, run - RUN - I say, to the Imax version. The larger format print does a lot to buoy up the film’s draggier bits, and the magic that is so desperately needed to give the film a pick-me-up is realised during the final 20 minutes, which are in 3D. That great battle sequence I mentioned before is made mind-boggling with flashes of spells and explosion blasts coming right between your eyes. You’ll feel like you need to duck during the escape on the Thestrals. It’s a great time and perfect use of the technology. I only wish the previous hour and forty minutes of the film was nearly as inspired … or as much fun. 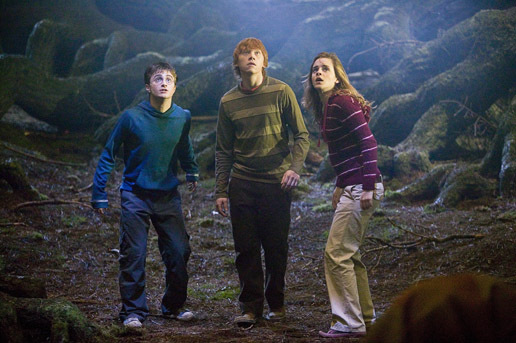 Click here for our 2010 review of Harry Potter and the Deathly Hallows, Part 1.